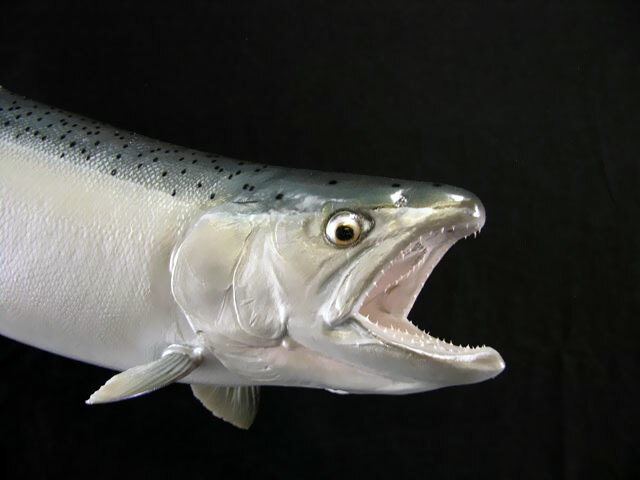 The rainbow trout (Oncorhynchus mykiss) is a species of salmonid native to cold-water tributaries of the Pacific Ocean in Asia and North America. 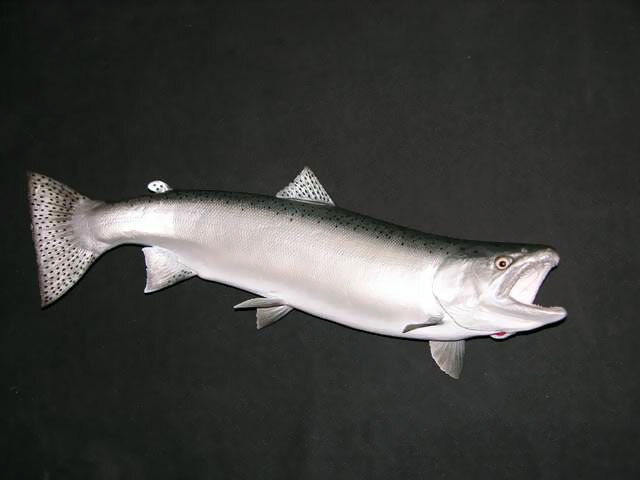 The steelhead (sometimes “steelhead trout”) is an anadromous (sea-run) form of the coastal rainbow trout (O. m. irideus) or Columbia River redband trout (O. m. gairdneri) that usually returns to fresh water to spawn after living two to three years in the ocean. Freshwater forms that have been introduced into the Great Lakes and migrate into tributaries to spawn are also called steelhead.